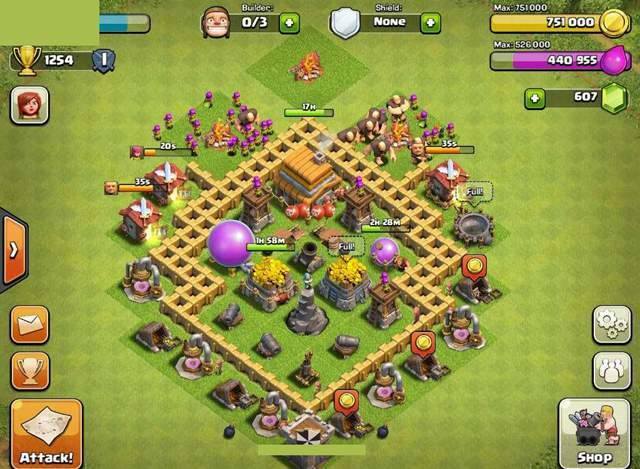 “How to defend my village?” this question is very common on internet these days due to rising popularity of clash of clans. 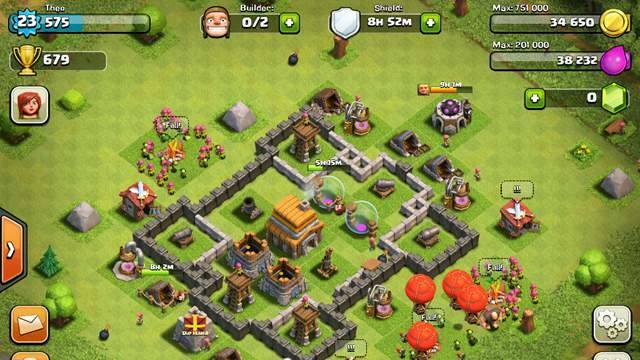 Millions of players are playing the game on Android and iOS and internet is full of clash of clans content. 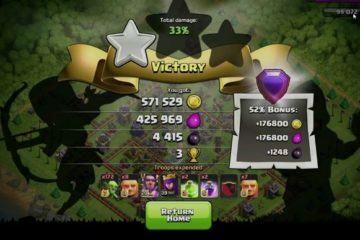 Clash of clans attack and defense strategies are the mainstream topics falling in the fan-base kingdom. 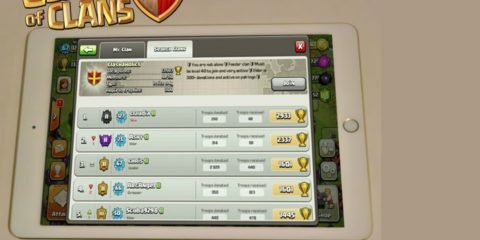 Many players are sharing their own strategies and tricks to achieve different goals in the game. 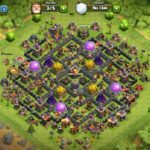 These strategies are all unique and impressive but they may vary due to different range of town hall levels. 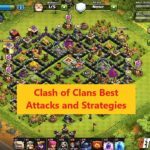 Today I will share some of the effective defense strategies you can use in the game to achieve maximum farming, attacking or defense potential. 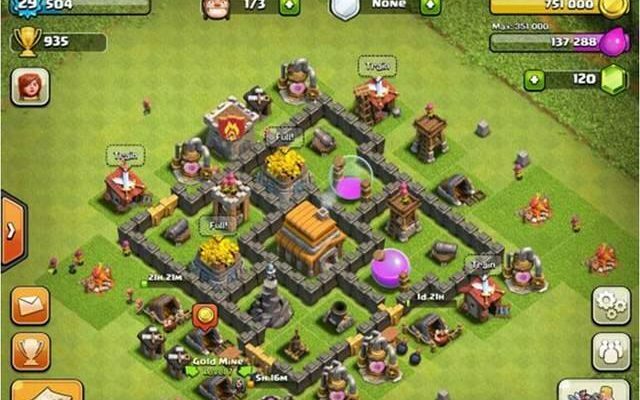 This is a mid-level town hall strategy, it is quite simple as it looks the basic idea is to place you town hall outside the wall protection and placing your elixir and gold storage inside the walls surrounded by the max cannons, wizard towers, mortars and archer towers you can use. 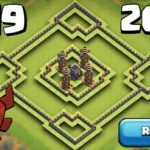 This strategy will minimize the chances of mid-level raiding people usually do for getting gold and elixir and prevent them to getting near your resources. The idea is basic you can do any changes you need and produce any variant of this strategy. 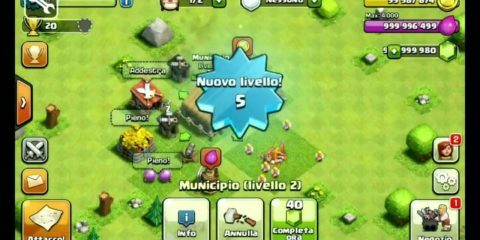 The second strategy is to place your town hall at the center having maximum wall protection and your gold and elixir storages must be placed at corner of your town hall. 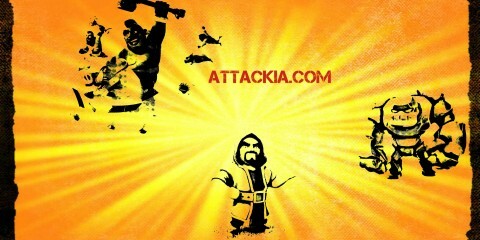 In addition to that these storages must be defended by using your defense buildings. Place mortars, archer towers, air defense and wizard towers at each block having your storage building. 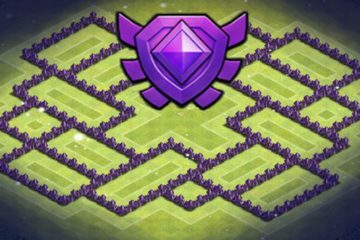 This is also generic and you can alter it as you wish and place different defense buildings in different sections and see the outcomes. 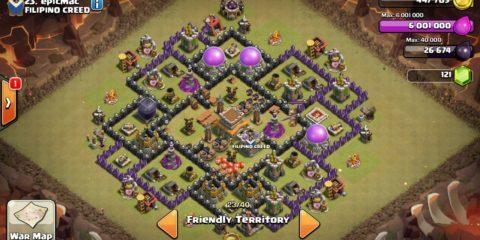 This defense strategy depend mainly on your wall, as you can clearly see top section heavily guarded by walls inside those layered walls town hall and storage building are placed. 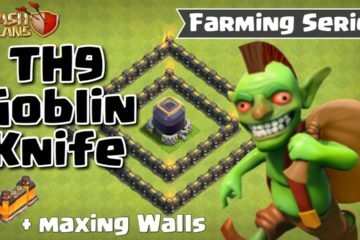 Opponents won’t be able to come in thorough that way, they will die just breaking the wall. On the other side you can also notice almost your every defense building is placed there. 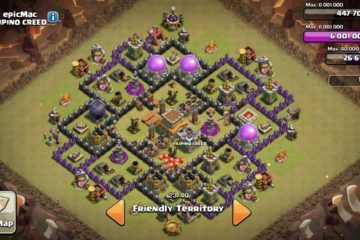 Your defense will strike with full potential if enemies try to attack from bottom side or sideways in this way your town hall and storages will remain safe. On the scale of 1 to 10, how do you rate these strategies? 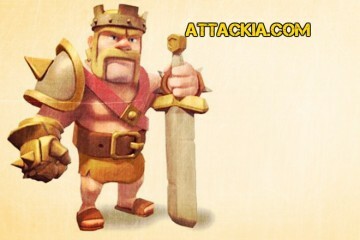 Don’t forget to comment and keep visiting us for more Clash of Clans stuff.